In 1855 abolitionists Ellen Goodnow and her husband Isaac moved to Kansas Territory. 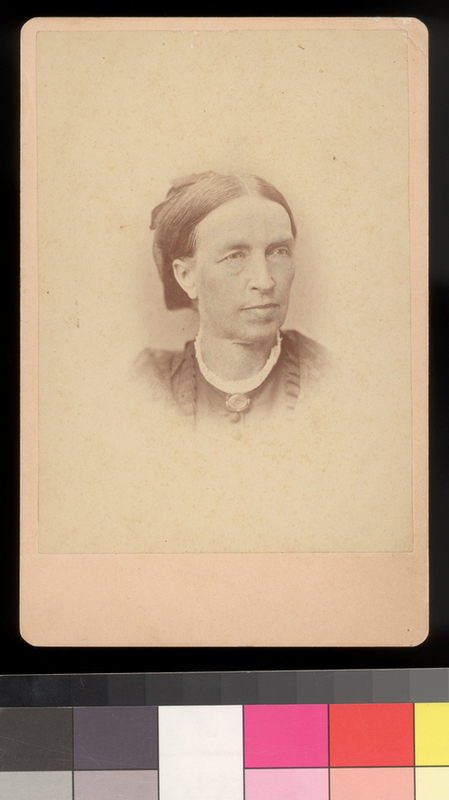 Ellen exchanged letters with her sister-in-law in Maine, telling about conditions in the territory. She encouraged her sister-in-law Harriet, who was married to Isaac’s brother, William Goodnow, to join her family on the Kansas frontier. After the Goodnows moved from their native Massachusetts to Rhode Island in 1848, Isaac became involved with the New England Emigrant Aid Society. This organization of abolitionists wanted to ensure that Kansas entered the Union as a free state. Isaac, his brother William, and Ellen’s brother, Joseph Denison, led a colony to Kansas Territory in March 1855; Ellen joined her husband in July.